I can’t speak for the Humble One, C.J. Mahaney, but it would seem one of his heroes is C.H. Spurgeon. It’s hard to understand how a man who spends hours and hours, and hours and hours and hours a week on sermon preparation can find the time to so prodigiously pump out Tweets, but give the Humble One credit, he works hard to serve you! 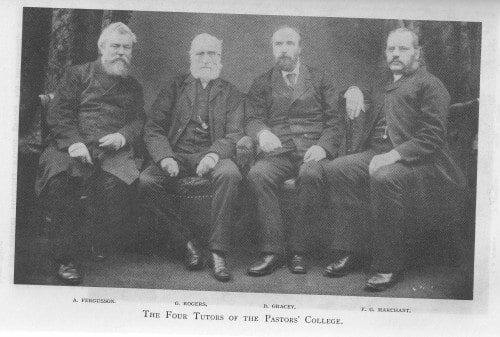 Did you realize C. H. Spurgeon had a Pastors College? I just came across that fact today. Since I only work 40 hours a week at my job I have a bit more time than your average Sovereign Grace pastor to peruse obscure books. (Of course, my stack of books is much smaller than Al Mohler’s stack of books (another hero of the Humble One), but I make do. 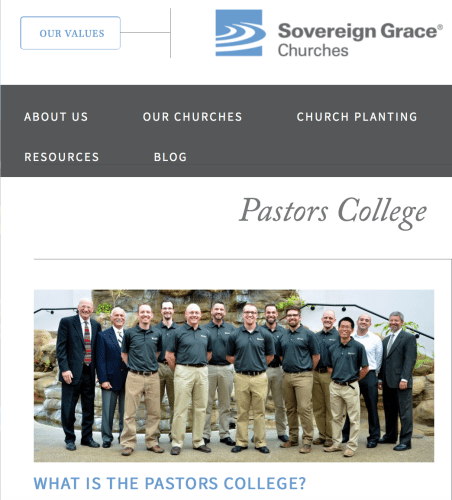 I am now left to wonder if perhaps the Humble One named Sovereign Grace’s Pastors College after Spurgeon’s college? Maybe one of you 50.7K Twitter followers could pose that question to the “Ceej” and get back to me. It’s not an urgent request, just something I am curious about. Now it’s time to play a little game. The purpose of this game is to highlight how Sovereign Grace teaches their college recruits to preach. After that, I will attempt to demonstrate why the Sovereign Grace Pastors College method of preaching was not the C.H. 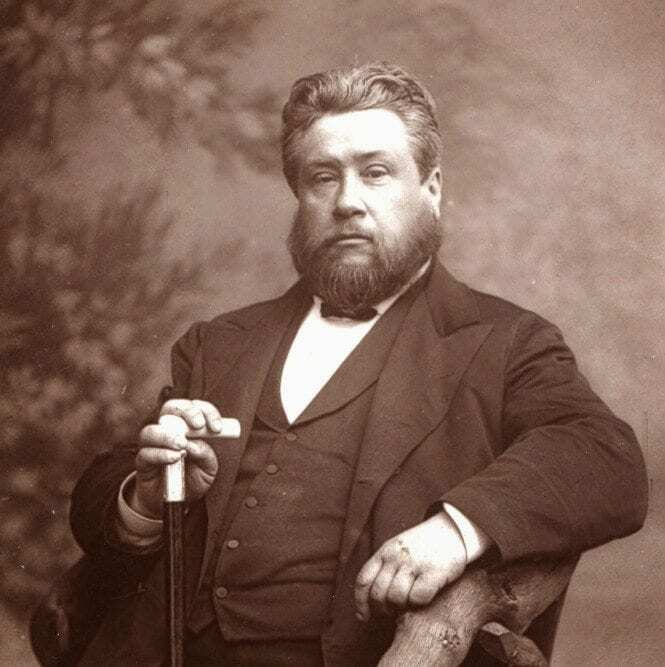 Spurgeon Pastors College method of preaching. Below are six short clips taken from the beginning of each pastor’s sermon. Your job is to attempt to determine which 3 clips are from Sovereign Grace pastors, and which 3 clips are from pastors that didn’t have the privilege of attending the 9 month Sovereign Grace Pastors College. Ready? OK, give it a try. Grade yourself afterwards. 6 of 6 correctly answered and you are an individual of at least average intelligence. 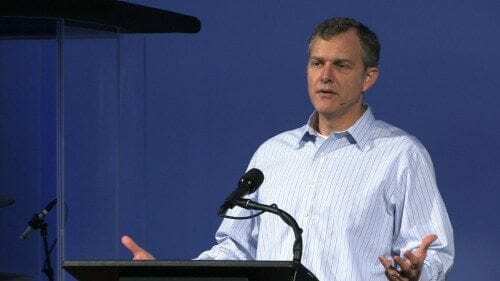 Anything less than 6 correct and you are mentally challenged; you are prone to believe that the sexual abuse scandal in Sovereign Grace Churches is chock full of omissions, distortions, false allegations and an attack of Satan. How did you do? A fairly simple task to identify the Sovereign Grace pastors, isn’t it? Unfortunately, C.J. Mahaney and his fellow leaders at Sovereign Grace Louisville encourage and reward the men who learn to be blatant flatterers. 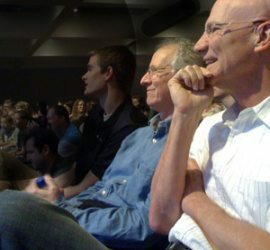 The odds are against you even being selected to attend the Pastors College unless you have already demonstrated the ability to engage in shameless flattery. Once at the Pastors College, the shameful behavior seems to be pounded into the recruits heads much like a Marine has the motto “God, Corps and Country” pounded into his head at boot camp. After 9 months these guys have flattery down to an art form. It appears that the man selected to preach at Mahaney’s church prior to graduation is the guy who is the best in his class at flattery. Why did I say Spurgeon would not use this method of preaching? Here is a quote from his book “Lectures To My Students,” second series, from pages 174-175. “In any case it is all about yourself, and this is a poor theme to be anxious about; play the man, and do not demean yourself by seeking compliments like little children when dressed in new clothes, who say, “See my pretty frock.” Have you not by this time discovered that flattery is as injurious as it is pleasant? It softens the mind and makes you more sensitive to slander. In proportion as praise pleases you censure will pain you. Besides, it is a crime to be taken off from your great object of glorifying the Lord Jesus by petty considerations as to your little self, and, if there were no other reason, this ought to weigh much with you. Pride is a deadly sin, and will grow without your borrowing the parish water-cart to quicken it. Forget expressions which feed your vanity, and if you find yourself relishing the unwholesome morsels confess the sin with deep humiliation. …Knowing something myself of those secret whippings which our good Father administers to his servants when he sees them unduly exalted, I heartily add my own solemn warnings against your pampering the flesh by listening to the praises of the kindest friends you have. They are injudicious, and you must beware of them. A sensible friend who will unsparingly criticize you from week to week will be a far greater blessing to you than a thousand undiscriminating admirers if you have enough sense to bear his treatment, and grace enough to be thankful for it. 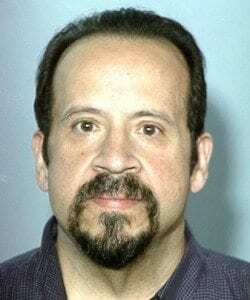 I was a member of CLC for over 30 years. I remember the days before C J became a Calvinist. This back slapping, over-the-top flattery did not exist then. Once it started, I guess around the late 90’s, I would squirm in my seat in impatience and embarrassment when C J would introduce a guest speaker. The flattery would go on and on. When the speaker would finally get up there, he would then flatter C J and CLC and SGM. C J would sit in his seat, head down and shaking, smiling, as if he was too humble to receive such praise. All a joke. They also liked to heap praises on members who had “made it” – the successful, the powerful, etc. Can’t believe all I accepted back then as the norm. Interesting information AK. I started attending SG Gilbert in 2002, so I had no knowledge of the pre-Calvinist era. Curious to me is how the embracing of Calvinist doctrines led to the shameless flattery of the leadership. Especially since such flattery is anathema to traditional Calvinists, Todd. 😉 When I attended a Christian Reformed Church as a kid, the congregation wasn’t even allowed to clap after someone sang a song because that person was singing for God, not man. Praising a visiting Pastor for 30 minutes would have been unthinkable. Plus, SGM and other insular religious organization like it had big problems long before they claimed to have incorporated Calvinists doctrines into their schtick. I know that beating up on Calvin is trendy right now, yet at some point blaming so-called Neo-Calvinism for every imaginable problem a Church is having starts to stretch credulity. I guarantee that most of these so-called Neo-Calvinists haven’t read a page of Calvin’s Institutes and probably can’t even tell anyone what the TULIP acronym stands for. They care about money, not doctrine. It’s not specific to CJ. Where I attended it was just like part of the program when a guest (from a nearby SGM church) speaker came. First your senior pastor would introduce the guest and do the obligatory heaping of praises, letting us know how special this moment was going to be and how lucky we were to be hearing from such a humble, godly man, the finest example of a husband and father there ever was. Then the guest would reciprocate, again letting us know how lucky we were to have such a faithful, humble senior pastor. Business as usual. Thanks for the comment Brett. I guess the flattery is systemic within the Sovereign Grace Churches denomination. I would guess most of the pastors took their cue from Cj. What is also interesting to me is the way all the celebrity big dogs from outside the denomination also used flattery when they were guest speakers at Mahaney’s church in Louisville. The one notable exception I found was Jerry Bridges. He is a wise old man and seems to actually be a humble guy, unlike the former SG Chairman. His introduction was short and as I recall he just said he always enjoyed teaching at the Pastors College and then proceeded with his message. One hardly knows whether to laugh or cry! Notwithstanding Our Lord has secretly, exhaustively and meticulously decreed that all this nonsense should come to pass. Selah. I know of 3 gifted pastors. They all have their own style but are gifted in their own way. What a shame it would have been if 2 of them tried to imitate one of them. It is sad that this is basically what happens within SGM. Are these three excerpts typical of what goes on? 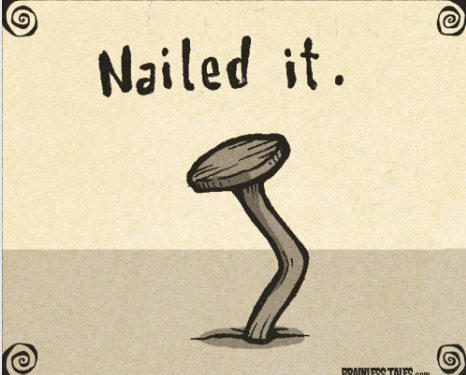 I take your point, it is and should be embarrassing, both to the flatterer and to the person being flattered. A young pastor may be forgiven a singular occurrence but what can’t be forgiven is the apparent routine acceptance by the overlords. Someone with humility and integrity would not accept them and would put a stop to such nonsense. This same someone is being exalted, it isn’t God. These SG pastors are the norm. There seems to be an unwritten rule that you must flatter Mahaney and his cohorts whenever you are afforded the “honor” of preaching in his church. I have also seen, first hand at the Gilbert church, the same type of thing when Mahaney was the guest speaker. The senior pastor would heap praises on CJ as he introduced him, then the congregation would give CJ a standing ovation, then CJ would step to the podium and tell us how great our pastors were, how fortunate we were to have them, etc. I never felt it was right to engage in this when I was a member, looking back now I think I was a fool to put up with it. I doubt that C.J. Mahaney has ever read Spurgeon, much less tried to emulate him. He claims to be a busy man, yet Mahaney could have read Spurgeon during the “paid season of reflection” Sovereign Grace Ministries gave him in 2011 when Brent Detwiler’s documents caused many people to wonder if Mahaney was qualified to be a Pastor. As I recall, the “paid season of reflection” lasted for 4 months, and the Sovereign Grace Board members did not comment on what type of reflection-activities, Mahaney was doing in exchange for his full salary, believed to have been more than $200,000/year at the time. Hey Buddy!, I found this information for you: "CJ Mahaney is no CH Spurgeon". Here is the website link: https://thouarttheman.org/2016/02/22/mahaneyspurgeon/. Thank you.